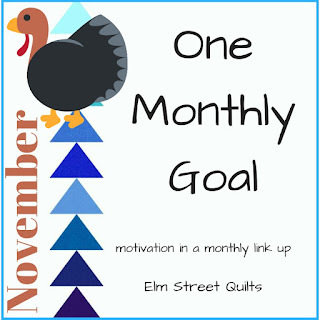 Ready to link up your November finishes? Don't panic - this link-up is open until November 30 at 11:55 pm ET. My goal for November was to quilt a challenge quilt. I'm not quite ready for the reveal photo yet but the quilt is quilted and faced. 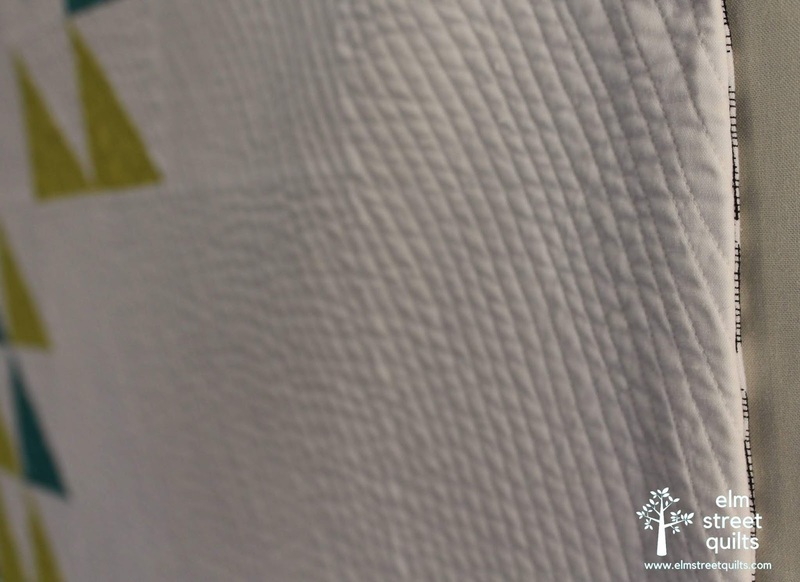 Here is a peak at a bit of the quilting and the faced edge. There will be three winners this month - Fat Quarter Shop is offering a $25 gift certificate, Make Modern Magazine is offering a 6 month subscription to their digital magazine and Michelle Wilkie from Factotum of the Arts is offering a pdf version of her Phased Circles pattern. Congratulations to Tracie, Cynthia & Ioleen - our randomly chosen winners for November! They have been notified by email - updated Dec 2. Congratulations, Patty! I reached my omg, too, this month. So happy finishing my giant top. Congratulations on reaching your goal too! I love the glimpse of your quilting and edge facing treatment. Lovely peek, and thank you for hosting this very inspiring link up. Looking forward to your grand reveal! The peeks we are seeing sure look wonderful! Thank you again for organizing the OMG - This is really working for me. I like what I see, the quilting looks great. So many beautiful finishes this month. I can't wait to see your reveal. I LOVE your dense quilting. Thanks for hosting the OMG!